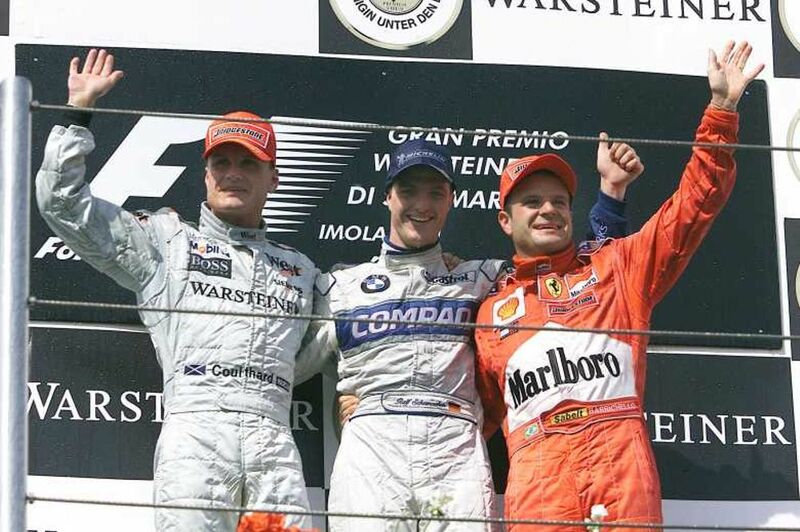 Ralf Schumacher leapt from third on the grid into the lead at the start and went on to comfortably claim his first win ahead of David Coulthard and Rubens Barrichello. As well as his first win, it also marked the first win for Williams since 1997 and made the Schumachers the first - and so far, only - brothers to have won a grand prix. 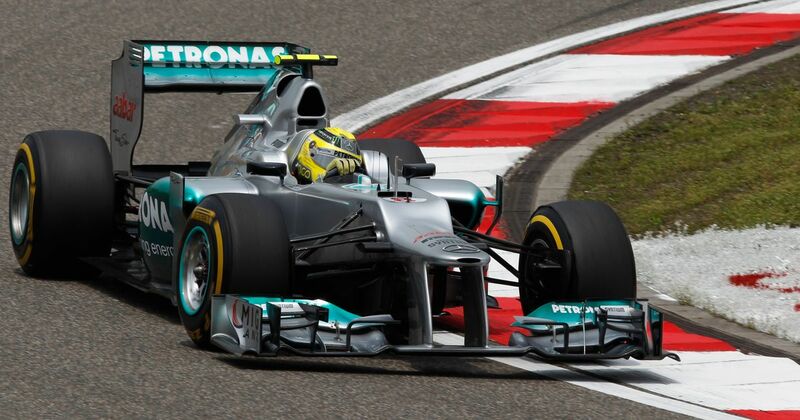 Felipe Massa won from Lewis Hamilton, who made it three podiums from his first three F1 races. Fernando Alonso had been third early on but then slowly slipped back - Kimi Raikkonen passed him during the pit stops and then the BMW-Sauber of Nick Heidfeld put a lovely move around the outside of the McLaren driver at Turn 4 to finish fourth. Nico Rosberg delivered Mercedes its first F1 victory since 1955 as he claimed his maiden win after a dominant display from pole. The McLarens of Jenson Button and Lewis Hamilton filled out the rest of the podium but it was a case of what might have been for Michael Schumacher. 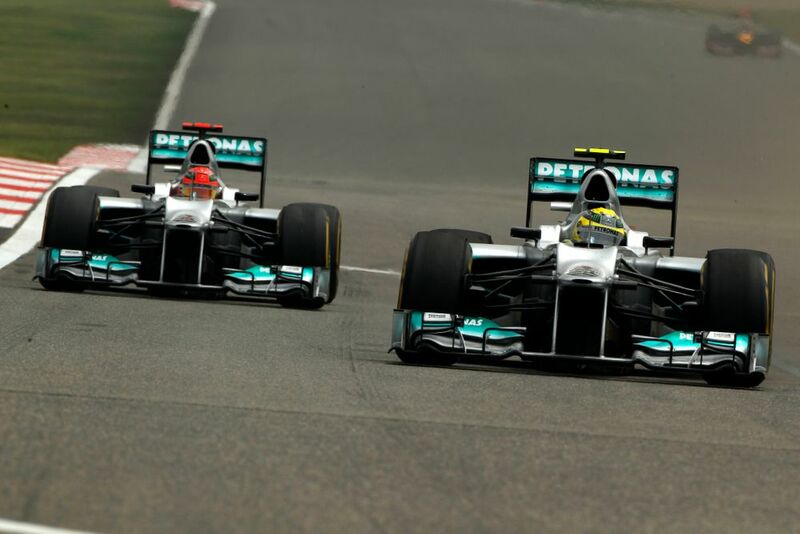 He started alongside Rosberg on the front row and was running second as he came in for his first stop, only to retire when a wheel wasn’t fitted properly, denying him a chance at challenging his teammate - or at least finishing on the podium - on a weekend where Mercedes was dominant. After a fairly sedate opening half where the only excitement was Valtteri Bottas jumping ahead of Sebastian Vettel to grab the lead during the pit stops, a late safety car to clean up debris from a collision between the two Toro Rosso’s turned the closing stages into a thriller. The two Red Bulls were the only drivers to gamble on pitting behind the safety car and it paid off handsomely - at least, for one of them. Max Verstappen was in prime position to scythe through to victory but went off the track trying to pass Lewis Hamilton around the outside, allowing Daniel Ricciardo ahead of him, and then ploughed into the side of Vettel at the hairpin, dropping the Ferrari driver down the order and earning himself a 10-second penalty. Ricciardo, meanwhile, moved through the field with his typical clinical efficiency, culminating in a beautiful move on Bottas for the lead and going on to win. Graham Whitehead (born 1922) raced just once, finishing 12th in the 1952 British GP. Ernesto Prinoth (born 1923) was entered into the 1961 Italian GP but for some reason failed to show up. He came back again in 1962 but was well off the pace and failed to qualify.